By TLex ENNEBI will produce a limited edition of their Fondale Vintage in bronze. The limited edition of 33 pieces will be numbered from 01/33 to 33/33. 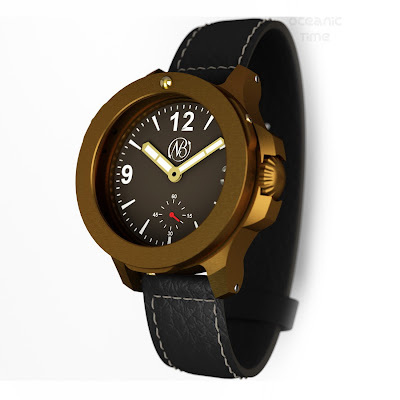 The material used for the watch case will be bronze B14. This is going to be a stunner! Liked this? Check out the ENNEBI Fondale Vintage CRONO! • Power reserve 46 hours. • Precious metal index on bezel.